Former presidential chief of staff Kim Ki-choon has refused a prosecutors’ summons to appear for questioning about his alleged role in a judicial abuse scandal, citing health reasons. Prosecutors had summoned Kim, who served as an aide to ousted former President Park Geun-hye, to appear at the Seoul Central District Prosecutors' Office at 9:30 a.m. on Thursday. 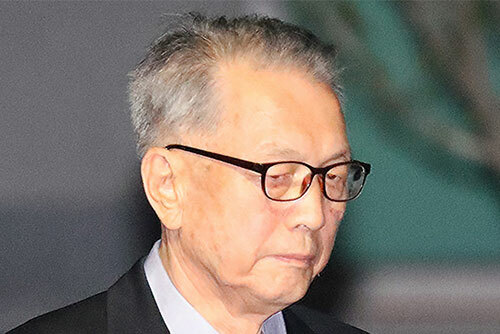 By grilling Kim, prosecutors were seeking to shed light on allegations the Supreme Court under the former Chief Justice Yang Sung-tae used politically sensitive trials as bargaining chips to win the Park government's support for the establishment of an appellate court. Kim is suspected of being involved in alleged deals between the presidential office and the National Court Administration under the top court regarding a lawsuit by Koreans forced into labor during the Japanese colonial era. The summons was made after Kim was released from prison on Monday, 562 days after being put behind bars for his involvement in the Park administration's blacklisting of artists critical of the government.